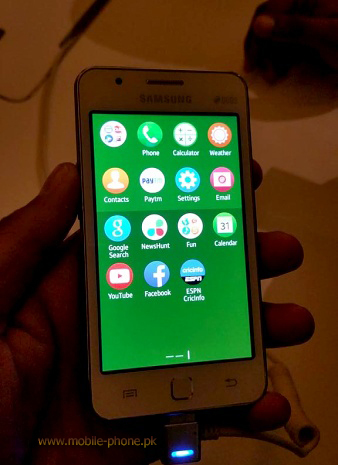 The Z1 Tizen based of Samsung smart phone revealed just about a week later with details considering the device’s availability and specifications. A recent bunch of live pictures of the device appeared up today although this is giving us basis to suppose that Samsung is going to back out of the new comer Z1’s launch. Basically this cell phone is a low expense phone consisted of a 4″ display screen of 800×480 pixel resolution and still it’s unclear with dual-core 1.2GHz CPU with 768MB RAM. Internal capacity is 4GB, and it’s expandable via the on-board microSD card slot with a 1,500mAh batter on back cover. 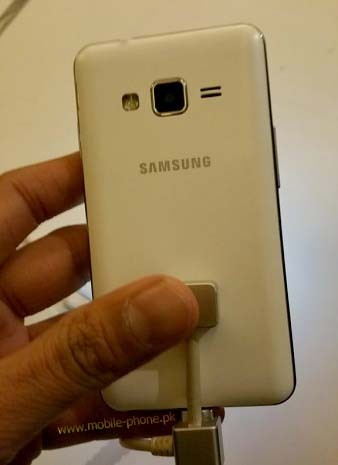 Samsung Z1 smart phone will include dual-SIM card slots and powered 3G, Wi-Fi b/g/n, Bluetooth 4.0, GPS and FM radio. Samsung Z1 cell phone is equipped with 2 cameras – a 3Mega Pixel at the back with LED flash and a 0.3Mega Pixel at the front. The smart phone will be introducing on January 18th, and it will be firstly launched in India then China and South Korea will be welcoming this latest smart phone. Expectedly $90 will be price for this smart phone.